Small to medium deciduous tree, 3m to 10m tall; vase-shaped habit; small, fine, 5-lobed leaves; insignificant pink flowers in spring. 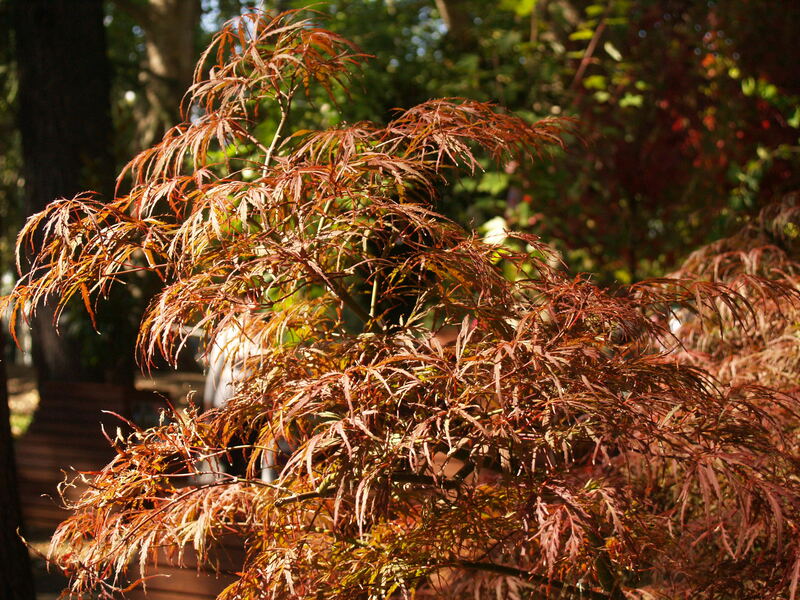 Grown primarily for its very attractive autumn foliage and its pleasing shape. The species originates from Japan. There are many different cultivars. Very attractive specimen tree for small gardens. Often used in Oriental theme gardens. Leaves dropped in autumn make excellent compost. Prefers a cool climate and fertile, moist, well-drained soil. Very cold and frost tolerant. Needs protection from warm, dry wind and hot afternoon sun - leaves are prone to scorching. 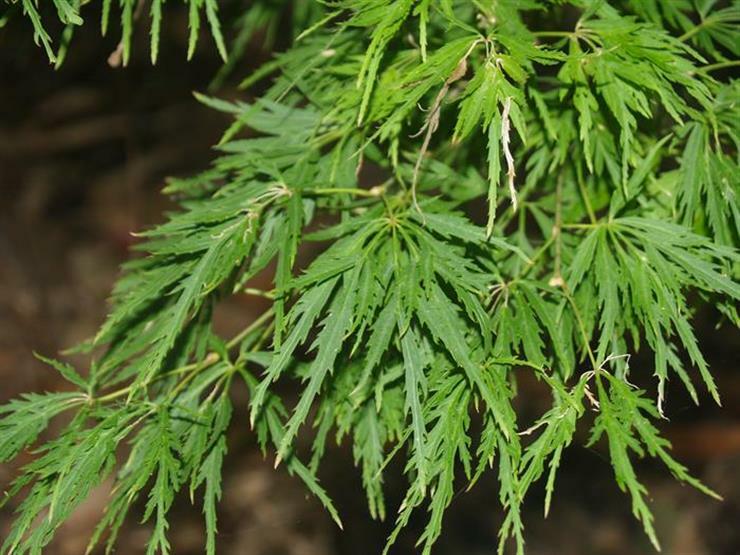 Does not tolerate hot, humid climates. Mulch and feed annually. Water during dry periods. Regular pruning is not needed - only prune to shape or to remove dead wood. Grafting, soft wood cuttings (especially for cultivars) and seed. 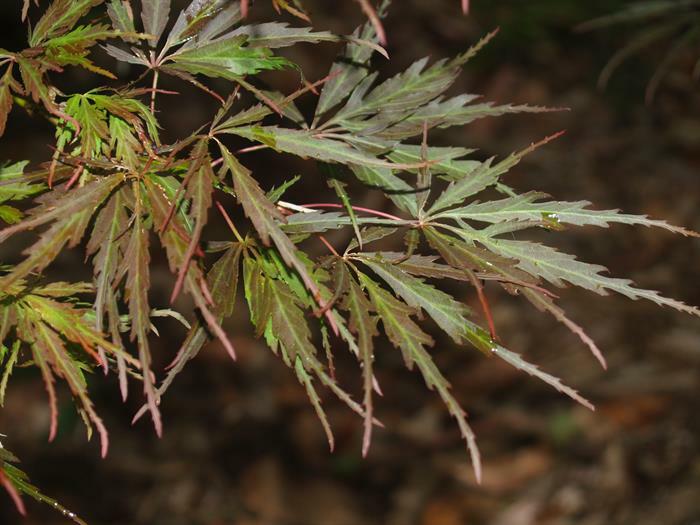 'Bloodgood': possibly the best known and most popular cultivar - stunning deep red to purple leaves turning bright red in autumn. 2.5 -4m by 2.5 by 4m. A. p. var. dissectum: deeply divided leaves. A. p. var. dissectum 'Atropurpureum': deeply divided purple, stunning. foliage often used (grafted) as a standard tree. 'Garnet': Shrubby plant 1.5m tall by 2.5m spread at 10 years - beautiful purple, heavily dissected foliage. Usually tough trees but may be prone to: Anthracnose, Septoria Leaf Spots, Powdery Mildew, Verticillium Wilt and Scorch.